Some last longer than others, but consumer goods and trends have limited lifespans. First, the novelty of a new product can lead to a craze. Then the hype gives rise to a critical backlash that creates a balance. Next, consumers evaluate the product or trend for what it can actually do, not what marketers promoted. Soon, it fades away and gets supplanted by the next big consumer fad. Chinese consumer behavior follows the same pattern. After China began adopting freer policies in the mid-1980s, Western companies lined up hoping to tap into the newly opened market. KFC became the first fast food franchise to land on Chinese soil, but they were far from the last. Chanel, Cartier, Rolex, Hershey’s, and McDonald’s each have a presence in China today. However, the initial wave of consumer euphoria in China is likely to be closer to the end than the beginning. After thirty years, Chinese consumer culture has forged its own unique identity with increasingly distinct demands. The honeymoon period has now subsided and consumers are looking for something more. In fact, China now resembles the US with a crowded marketplace where people vote with their wallets. International food and beverage companies increasingly target Chinese consumers’ penchant for wine and chocolate, among other luxury products, rather than another demographic in the midst of fast food mania. China plans to lift the entire country out of poverty by 2020. Urbanization, along with all the opportunities a city can provide, will be essential to creating a moderately prosperous country. 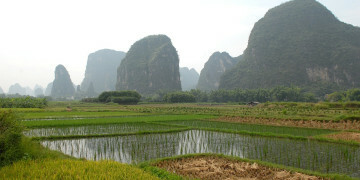 China’s urban population surpassed its rural population by 2011. In 2017, 57.9 percent of the total population live in China’s cities. City living can mean a better education, more job opportunities, and increased wages. It also tends to include more disposable income. Urban per capita disposable income grew 5.6 percent to 33,616 yuan ($5,062) in 2016. 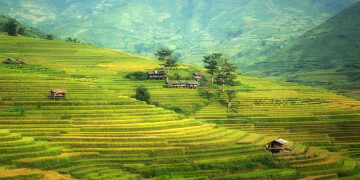 In 2010, China announced its goal to double disposable income for urban and rural populations by 2020, and so far, things are going to plan. As urbanization and growth progress, businesses have opportunities to develop brand loyalties in a growing population of increasingly wealthy Chinese consumers. Even if urbanization hits a snag, China may have the ability to create a wealthier country with the stroke of a pen. President Xi Jinping recently reiterated his aim to float China’s currency. If policy changes cause the exchange value of the renminbi to rise, Chinese consumers will feel richer overnight as imported goods revalue downwards. In just three years, 167 million urban Chinese households—close to 400 million individuals—will be categorized as “mainstream” consumers, according to McKinsey & Company. McKinsey’s report identifies “mainstream” as households with disposable income between $16,000 and $34,000/year. An additional 116 million urban households—307 million individuals—will be “value” consumers with disposable income between $6,000 and $14,000/year. Discretionary spending will increase while spending on necessities like food will shrink as a proportion of the total. Dining out and delivery businesses will both find growth opportunities with urban consumers who may not have the time to cook at home but do have disposable income. In the past few decades, a growing Chinese middle class led to soaring protein demand. Growth has since slowed and consumers have made their protein preferences known. Pork remains the principal protein while beef demand has grown only slowly. Chicken has had some success, but seafood consumption continues to see strong growth. Chinese consumers often seek products that reflect their own cultural heritage, failing to conform to foreign patterns of protein preference. Consumer packaged goods companies have had success in China simply by associating products from the US or Europe with quality. While that connection still holds in many cases, healthy lifestyle trends have aroused some interest from Chinese consumers. Fast food companies have been hit particularly hard by this change in tastes, and the opening of a new McDonald’s or KFC in China no longer meets with fanfare and long lines. KFC was the first Western-style fast food restaurant to open in mainland China in 1987. The fried chicken franchise, founded in 1930 in Lexington, Kentucky, became an instant success. Novelty combined with a naive upscale perception led to KFC becoming firmly entrenched in Chinese culture. In fact, China has 5,324 KFC restaurants, the most of any country. The US sits at a distant second with 4,141 franchises. McDonald’s soon followed KFC’s lead and opened their first restaurant in 1990. The world’s biggest McDonald’s opened in Beijing in 1992. The massive restaurant could seat 700 guests, utilized 29 cash registers, and served 40,000 customers on opening day. While the super-sized McDonald’s in Beijing has shuttered, there are still over 2,200 restaurants featuring golden arches in mainland China. Close to three decades ago, McDonald’s and KFC represented a rare window into a vastly different life. An American—or capitalist—lifestyle was inconceivable in a country that only began to embrace an open market approach in the 1980s. In 2017, a Chinese lifestyle does not stray too far from a Western one. European fashions, the latest technological gadgets, and expensive beauty products can be easily found in stores and on consumers. KFC and McDonald’s no longer represent a visit to a different world. People view them as storefronts situated among other businesses on crowded streets in Chinese cities. This sentiment, coupled with a healthier lifestyle that has also led to decreased pork consumption, has led to a decade of decreased or constant KFC sales with only rare demand spikes. McDonald’s has also experienced stagnating growth even as the fast food industry continues to grow in China. Chinese competitors, such as the fried chicken chain Dicos, have eaten into their profits. KFC has retreated to smaller cities in an attempt to reverse its fortunes. Small only by Chinese standards, these cities provide the embattled franchises with the same traffic as an urban restaurant with the added revenue from dining as a family event. Fast food outlets in the bigger cities are being renovated to appeal to a more discerning crowd. Expect “hip” places, McDonald’s doubling as chic coffee bars, and less-obtrusive branding to lure in new customers. With fast food moving into the rear view mirror, Chinese consumers have begun to focus on more luxurious items. Wine and spirits demand, along with luxury foods, have seen recent growth in China. Consumers have put down their hamburgers and are now raising glasses of wine. Europe reigned for centuries as the wine consumption capital of the world. The US took the volume wine consumption crown from France in 2013. The United States now represents the world’s largest wine consumer both by value and volume. China’s increased appreciation for wine will further erode Europe’s position. Chinese wine consumption by value is expected to reach $22 billion by 2020 to leapfrog past the UK and France to second place just behind the United States. Interestingly, due to wine’s historically upscale image in China, in the near term, the country will remain only in fifth place based on volume, even as it reaches second place by value. When Chinese consumers buy wine, they want to pay for it. But recently we’ve seen them begin to purchase more mid-range bottles and explore even lower-priced options as the taste for wine broadens to less-elite customers. China already has the second-largest area under grape cultivation in the world, and is expected to surpass Spain in the next few years. 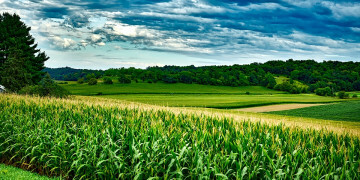 This increased production will likely spur further growth in consumption by lowering prices. In time, newly initiated Chinese oenophiles will explore foreign vintages as their tastes mature. Then, even more wine exports will be headed to China in the coming years. Chocolate consumption growth lags behind that of wine in China, but both are luxury items that increasingly play a part in everyday life for consumers. Chinese demand remains well behind the EU’s and the US’s and barely registers on a global scale. China’s paltry annual per capita consumption of 0.3 pounds is easily dwarfed by 9.25 pounds consumed annually in the US and the whopping 19.4 pounds consumed in Switzerland, the top chocolate consumer in the world. Chocolate remains an acquired taste because Chinese food culture has never featured sweet desserts. Consumers have grown up with a balanced end-of-meal dish, like a red bean bun, that offers a hint of sweetness. Chocolatiers have begun experimenting by incorporating more traditional ingredients, including matcha and green tea, to increase appeal. With sophistication comes new tastes. 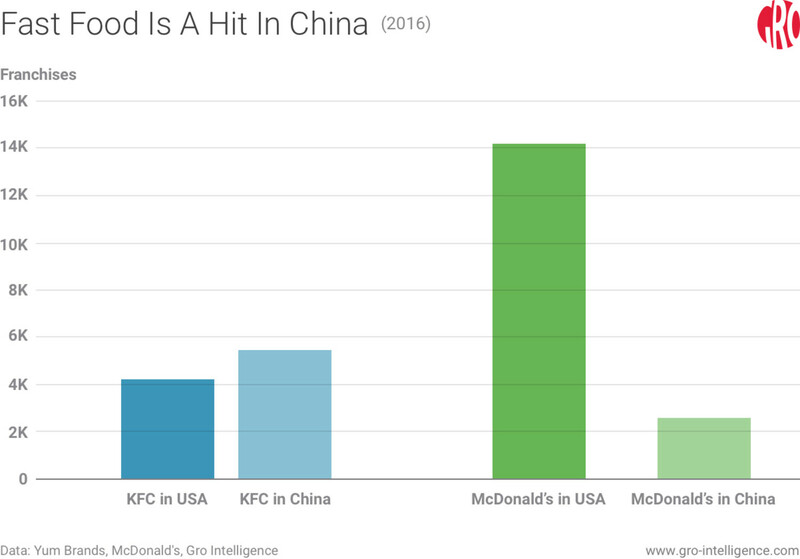 Fast food in China will not go away, but McDonald’s and KFC will have to draw up a new plan for continued success. KFC has long embraced Chinese culture and adopted a model better suited for its clients. Larger restaurants made KFC a communal destination for large groups to dine in. A larger menu offers more variety with temporary offerings designed specifically for Chinese palates. For example, KFC also offers traditional congee for breakfast. Tailoring a market-specific approach is not a new concept—we can see that playing out in similar ways in India. But Chinese consumers have an increasing abundance of options like their Western counterparts. They have more disposable income and express that newfound wealth by exploring more luxury food items. Wine consumption will continue to increase, especially as younger Chinese consumers come of age in a culture that prefers wine to traditional baijiu. Current consumers have begun paving the way for chocolate to become a weekly or even daily treat. A larger urban population provides opportunities for food and beverage companies to provide high-quality prepared food options that strike a balance between convenience and taste. China’s consumer economy will continue its convergence with Western style and taste, but companies hoping to service Asian demand will need to show sensitivity to the important differences that will remain.